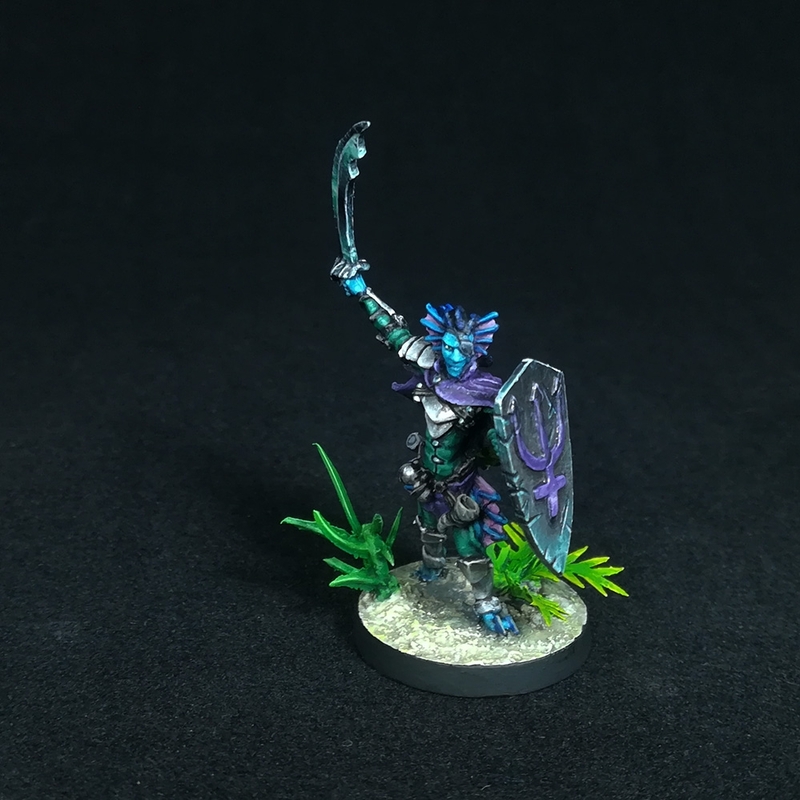 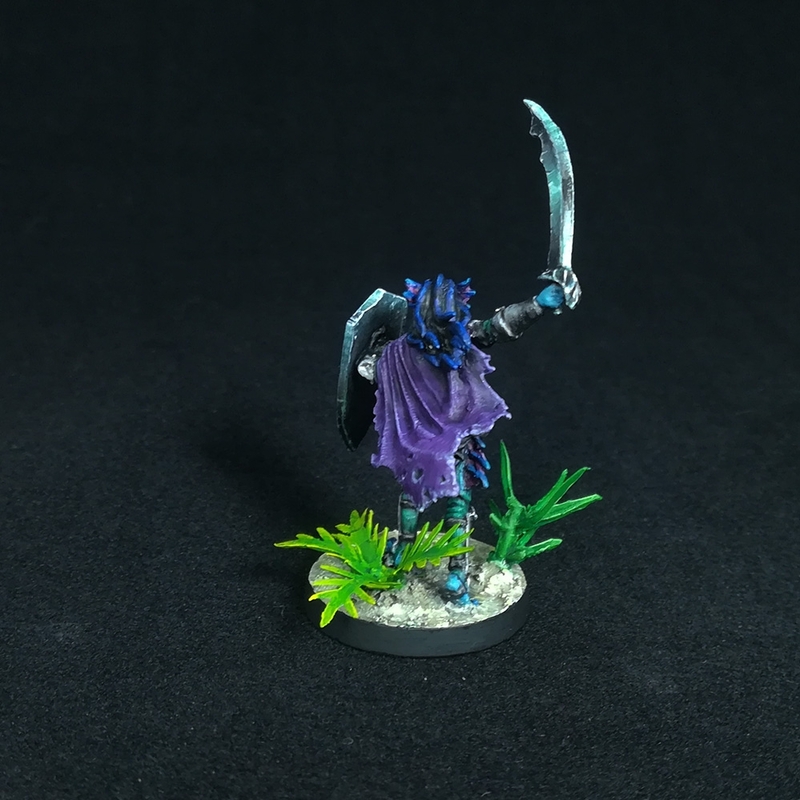 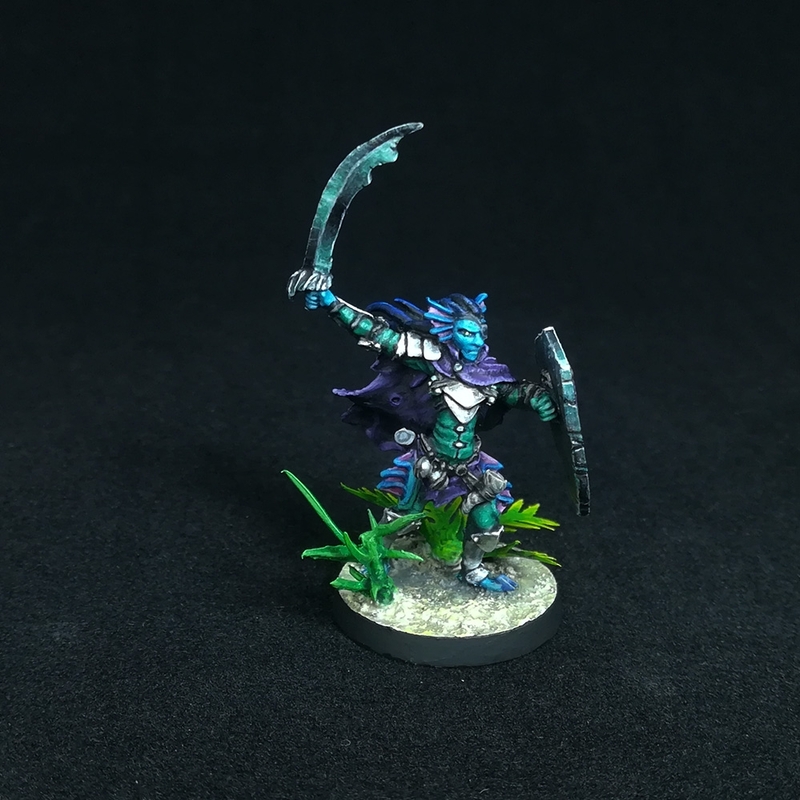 Triton Paladin Miniature Commission: conversion and painting. 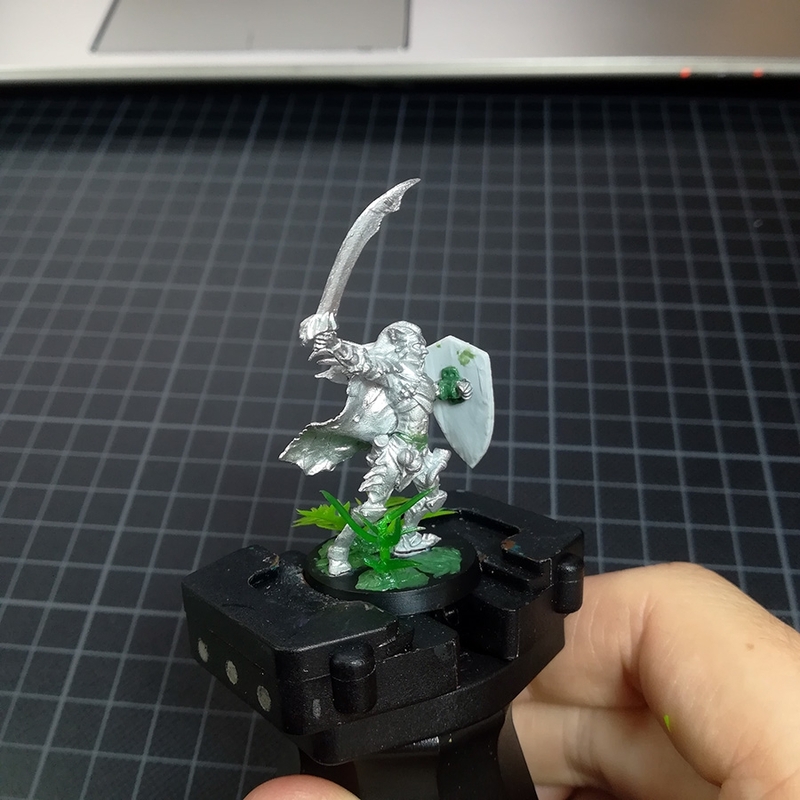 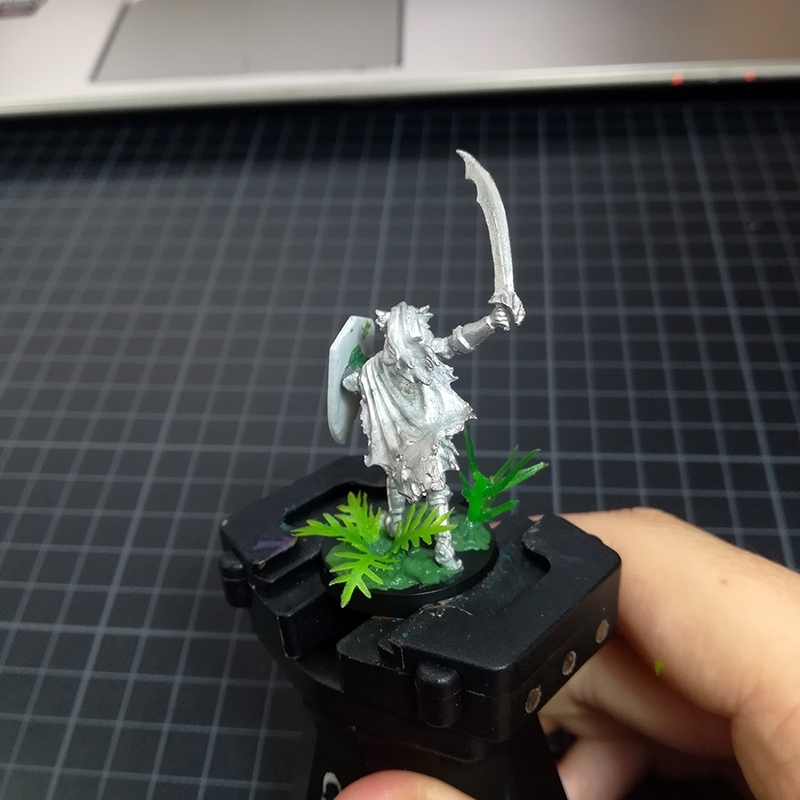 For this mini I sculpted the shield changing the hand crossbow by it on the left arm. 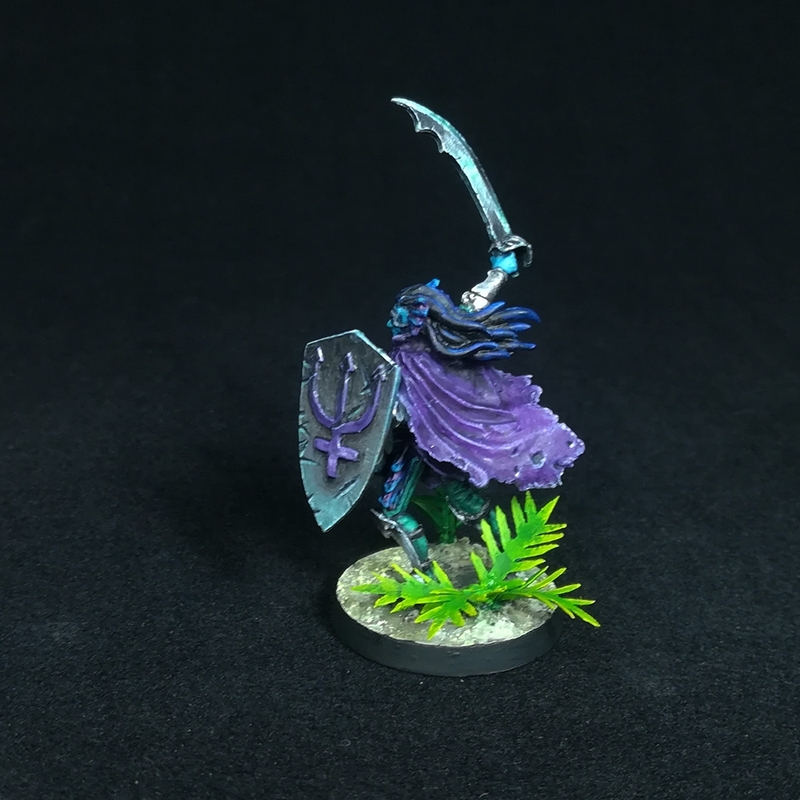 For painting I used Citadel paints and some Scale75 paints for metallic effects. 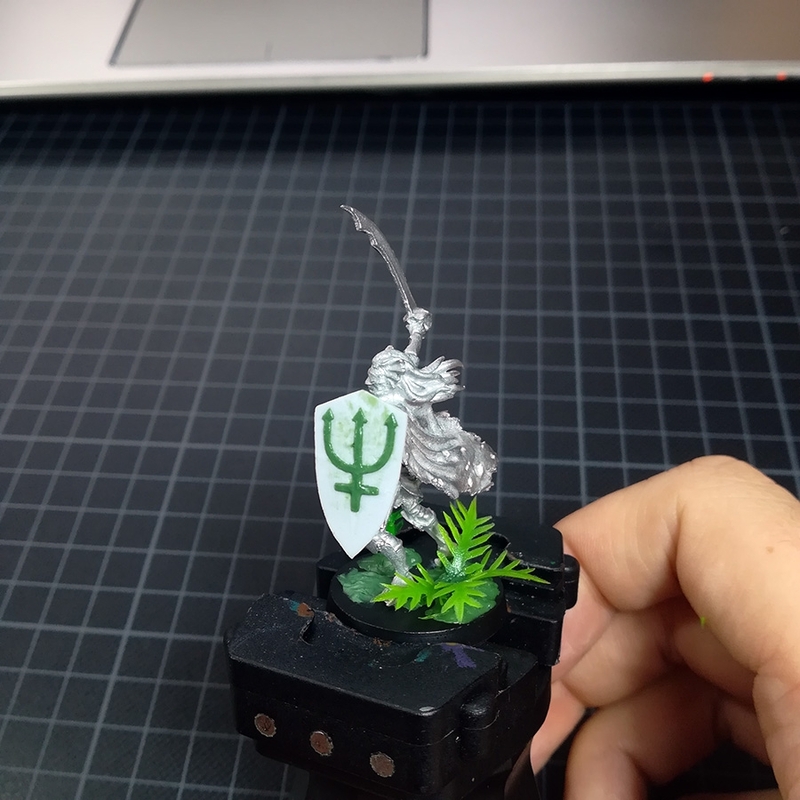 Of course at the end I applied two layers of matt coat to protect the mini from chipping, since it will be used in tabletop D&D RPG. 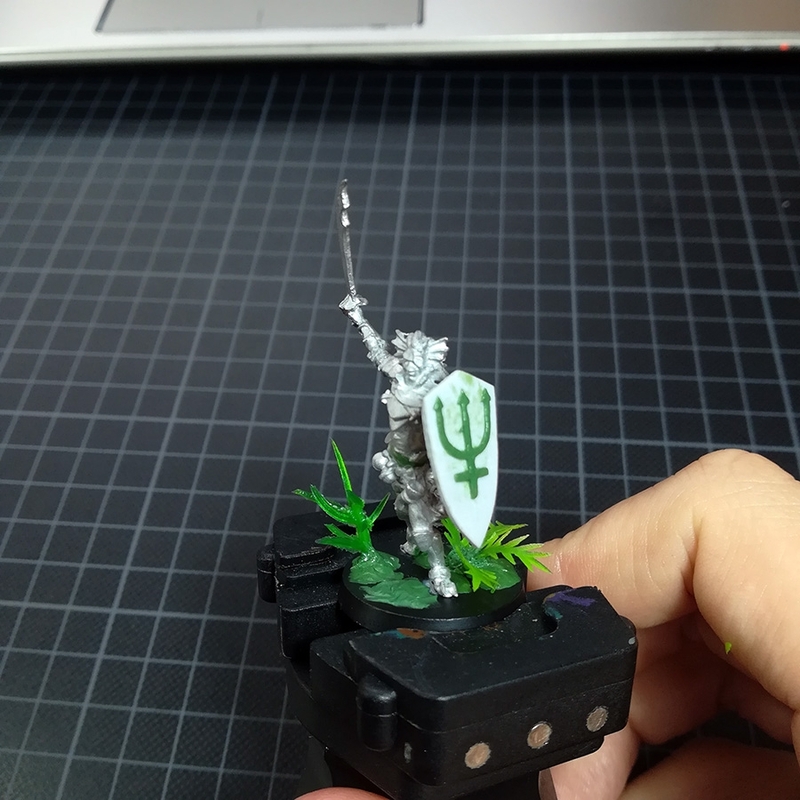 The mini represents Helios Aegaeon, male triton paladin. 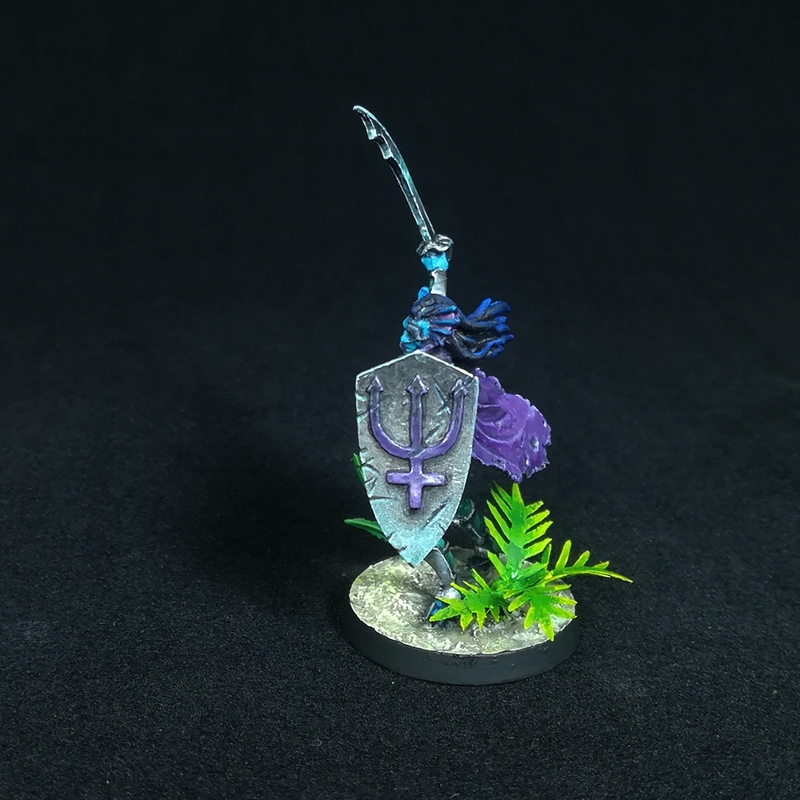 Will it be an ally or enemy of the characters? 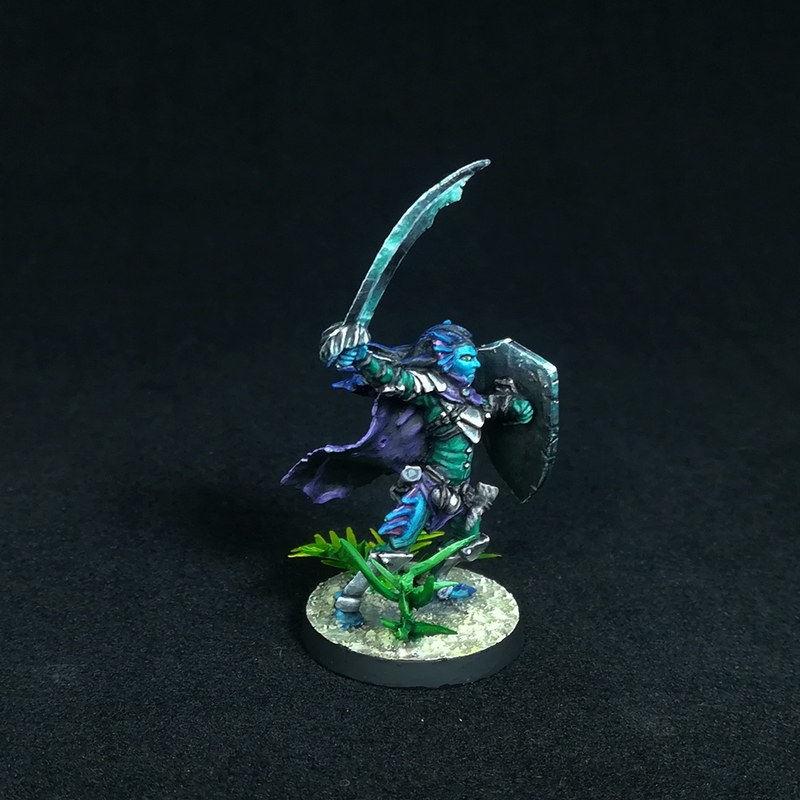 Is he a defender of all the tritons or a renegade?